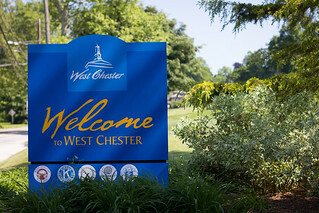 Yesterday, we posted some events happening over the weekend around West Chester. Below are some additional events happening around the area for this January weekend. Just a reminder to drive carefully in the snow that is predicted for our area this weekend. For more information on the events click here. When: Saturday, Jan. 26 from 1:30 – 3:30 p.m.
Why Go: Main Line Parent will showcase preschool and kindergarten programs, camps, and educational enrichment programs for children under 6. Meet other families and find a babysitter or nanny in a speed session at 2 p.m. For more information, please visit their website. When: Sunday, Jan. 27 from 1:30 – 3:30 p.m.
Why Go: Same event as Saturday, only different location and different schools. Main Line Parent will showcase preschool and kindergarten programs, camps, and educational enrichment programs for children under 6 in a family fun day in Wynnewood. Meet other families and find a babysitter or nanny in a speed session at 2 p.m. For more information, please see the event listing. When: Sunday, Jan. 27 from 3 – 5 p.m.
Why Go: This event gives all our community an opportunity to see stress and success through the eyes of students. Teens Speak is presented by the Youth Advisory Council for the Coalition for Youth of Lower Merion and Narberth. The YAC is made up of students from the following schools: Baldwin, Agnes Irwin, Haverford, Barrack Academy, Friends’ Central, Lower Merion High School, Harriton High School and Shipley. Why Go: Enjoy a night of open bar, catered food, live music and more – all benefitting local charities. When: Saturday, Jan. 26 at 7 p.m.
Why Go: Families are invited to join us for a night of owls at Upper Main Line YMCA! Elmwood Park Zoo will present their live owl and raptor show in the gymnasium. Our staff naturalists will demonstrate owl pellet dissections and then lead a night owl prowl from our Nature Center throughout the YMCA’s Cassatt Preserve in search of some of our local owls. Dress for the outdoors and bring a flashlight! FREE event to the community. When: Saturday, Jan. 26 from 1 – 4 p.m.
Why Go: Members of the community are invited to come learn about regional summer programs and camps that support youth who learn differently. Year-round programming and community resources will also be represented. For more information contact Holly Zipperer, Director of Summer Programs & Ancillary Services at: 610-296-6725 x115 or hozipperer@vfes.net. Snow date: February 2.